Lot of 12 Double Jeweled CZ Crystal Belly Button Navel Rings 316L Surgical Steel 14G 7/16"
Product prices and availability are accurate as of 2019-04-16 19:50:36 UTC and are subject to change. Any price and availability information displayed on http://www.amazon.com/ at the time of purchase will apply to the purchase of this product. 12PCs 316L Surgical Grade Steel high quality double jeweled cz rhinestone belly navel barbell ring No. 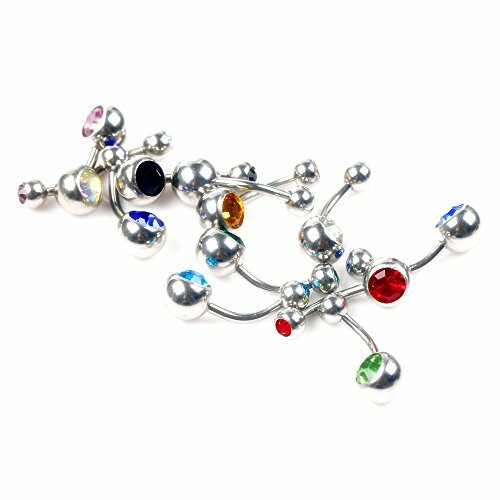 style:body piercing jewelry ring barbell,banana ring bar. Assorted, 8 colors at least. If you need more help with sizing, contact BodyArt and we can send you a free, printable measuring chart so you can measure the jewelry you have. We guarantee all of our jewelry against manufacturer defects. Contact BodyArt if you have any issues with defective items. 100% Highest Quality and brand new, 316 L Surgical Stainless Steel. 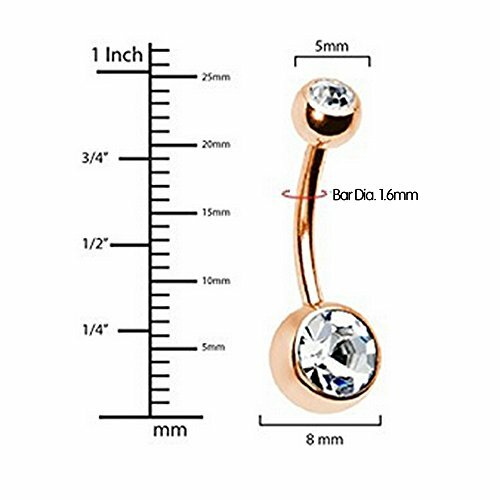 Stainless Steel Gauge: 14G(1.6mm) /7/16 Lot of 12pc 14G Double Gem crystal jeweled Belly Button navel Ring Body Jewelry Piercing 12 Pack Comes with free belly retainer!! quality authentic only selled by BODYA jewelry.